Yet it takes no more than thirty-eight seconds of “Heavy Psych” to elapse before any concerns about tongues, cheeks or even “psych” are completely wiped away from our mind, crushed by the crashing wave of The Cush at full power, culminating in an unforgettable falsetto-led chorus that hits its mark as assuredly as the finest archer in all of the universe. “To find the time for all the things we dream” are the words we hear buried within the massive … well, transcendental heat wave of sound, which is appropriate – finding an album like “Transcendental Heat Wave” is finding music so good we dream about it. “One Shot Love” swings its single-shot like an extra-terrestrial glam-rock warrior, all crushed-velvet leopard skin flares as worn by the alien race. “Orange Like Water” recalls something as mighty and mythical as the neo-krautrock glory of Verma – a master-class in controlled chaos, the reckoning of restraint versus “rolling again.” “Highway Brain” continues the motorik-mutation of The Cush, molecularly manifesting itself into the sound of a “feeling like never before” or, alternately and more directly, one of the top-ten driving songs we’ve ever had the good fortune of hearing in our long, often misdirected life. Pockets of sonic penetration deep and dark enough to make us swoon litter “Transcendental Heat Wave,” resulting in a profound and peculiar album. We see it in “Phantom Girl,” it’s alive in the robotic thump of “Droids” and the signal is picked up, unbroken, on “Broken Radio,” an anthem to strip malls, industrial graveyards and the knowledge that “your crown jewels are the teeth of the hydra.” “Summer’s Gone” finds us back behind the wheel, adopting an Psychic Ills-like somnambulant-swagger before the tag-team of “Color Your Eyes” and “The Distant Light” close the album on a transcendental-torch-song note, where elements of outer space slow-jams abound. “Dreaming with you was an easy thing to do” declare The Cush, before slowly coming apart at the seams and regenerating itself in the span of seconds, all the way down to a languid, lamenting solo that fades us out, wondering if anything ever really ends. There’s a vitality, imagination and undeniable spirit of motion throughout “Transcendental Heat Wave,” a powerful sense of escape velocity that allows the album to unfold something like a perfectly planned road trip. Allusions to driving color the album – references to being on the road, behind the wheel and just a few transcendental car-lengths away from whatever elements of control and paranoia happen to be flashing their brights at you in this very moment. “Transcendental Heat Wave”? Yeah. We could use a lift. “Transcendental Heat Wave” by The Cush is available now from Dreamy Soundz Records. 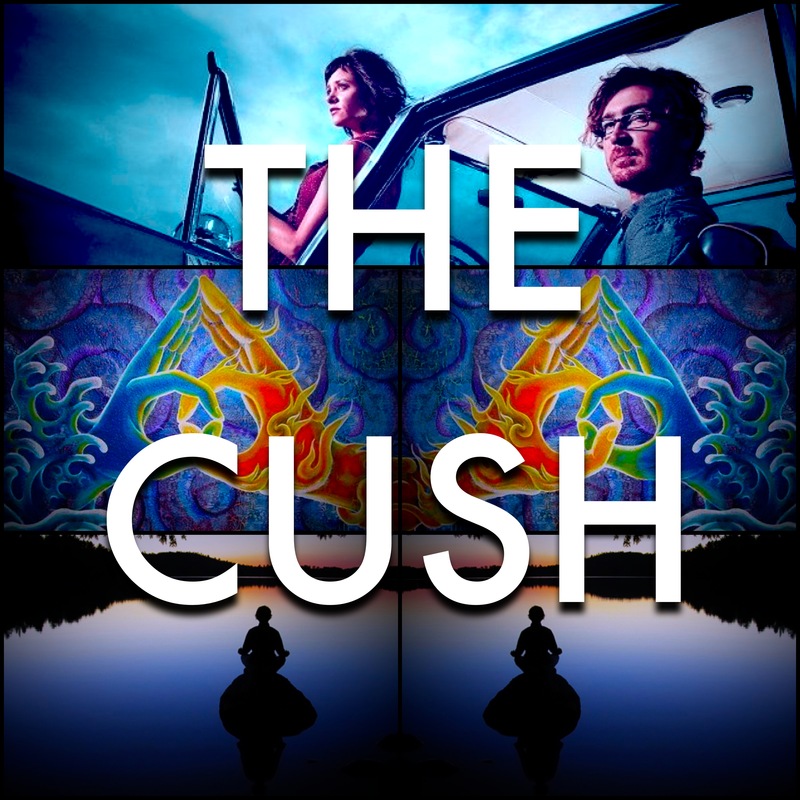 Here’s our interview with The Cush from 2012.